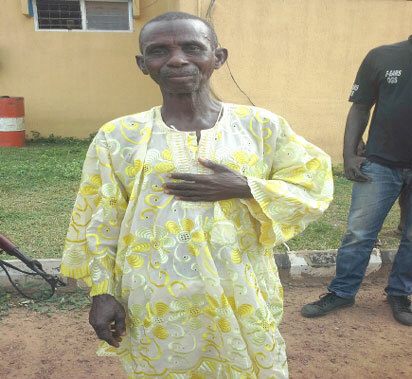 The Ogun state police command recently arrested a suspected ritualist who specializes in buying and using human parts for rituals. According to the state police commissioner, Ahmed Iliyasu, the suspects were members of two syndicates that operate within the state. “I am a farmer and an herbalist. We were doing a foundation in Itoko where I wanted to build a house; there. We saw these bones and we packed them in a bag and that is all. However, when we wanted to do money ritual, he brought a dry skull for the purpose. “I am a farmer. I know baba (Aremu) to be an herbalist, because he usually comes to see my landlord. I also trained as an herbalist. Someone came to me requesting for money ritual and I directed him to baba who negotiated and collected N75, 000 from the client but the ritual failed. The man called me to complain and I asked him to collect his money. He wasn’t ready to collect the money, he wanted it repeated but it failed again. I didn’t know anything about the skull. I didn’t take any skull to him. I only specialized in working for petty traders to boost their trade”. “They specialised in killing people for the purpose of using human parts for rituals. A team of Federal SARS sighted two men on motorcycle with a suspicious bag and were forced to stop and be searched. 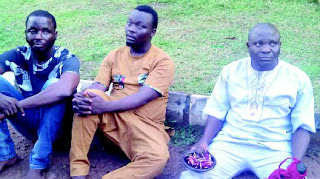 Recovered from their bag were fresh and dry human parts' the police boss said.